Fresh-fruit supplier Sunkist Growers has rolled out the Sunkist Family Stories microsite with the goal of educating consumers about the heritage of its farmers through multimedia, including videos and photos. 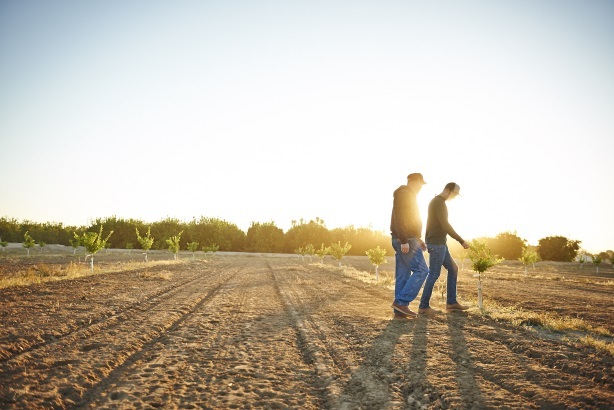 SHERMAN OAKS, CA: Fresh-fruit supplier Sunkist Growers has rolled out the Sunkist Family Stories microsite with the goal of educating consumers about the heritage of its farmers through multimedia, including videos and photos. The site, which was unveiled last week, highlights growers' sustainable farming practices including solar, water-saving irrigation systems, and low-emission vehicles, as well as investment in unique, specialty citrus varieties. It is targeting consumers nationwide, and Sunkist is planning to use some of its content in export markets in Canada and Asia. "Our goal with the microsite is to communicate both to consumers and our trade partners that Sunkist is a co-op made up of multigenerational family farmers from California and Arizona with tremendous stories to tell," said Joan Wickham, Sunkist’s PR and advertising manager. "Consumers are becoming more interested in where their food comes from, how it is grown, and who is growing it. By positioning Sunkist as a cooperative and delivering this content, we hope to increase consumer preference for our brand." Each family showcased on the site has a video profile that includes an interview. Sunkist wanted to "use growers’ own words" to authenticate the site’s content, according to Wickham. "Each story is unique, personal, and emotionally engaging," she added. Edelman, which has been Sunkist’s AOR since last August, constructed the microsite from the ground up and has been assisting the company with traditional PR and social media outreach, said Bryan Curran, Edelman SVP and Sunkist account lead. "We have been doing a digital campaign through our social media channels such as Facebook and Twitter, and we are also doing media outreach to consumer media, lifestyle media, and media within our growing regions," he said. "We are bringing some photos and videos from the project into grocers to have that point of contact with consumers, too." Sunkist said last month that its revenue surpassed $1 billion for a fourth straight year in 2013, with grower payments hitting $873 million, up from $838 million in 2012.